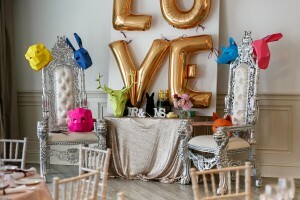 A New Year brings a whole new scrapbook of wedding ideas and trends to inspire. 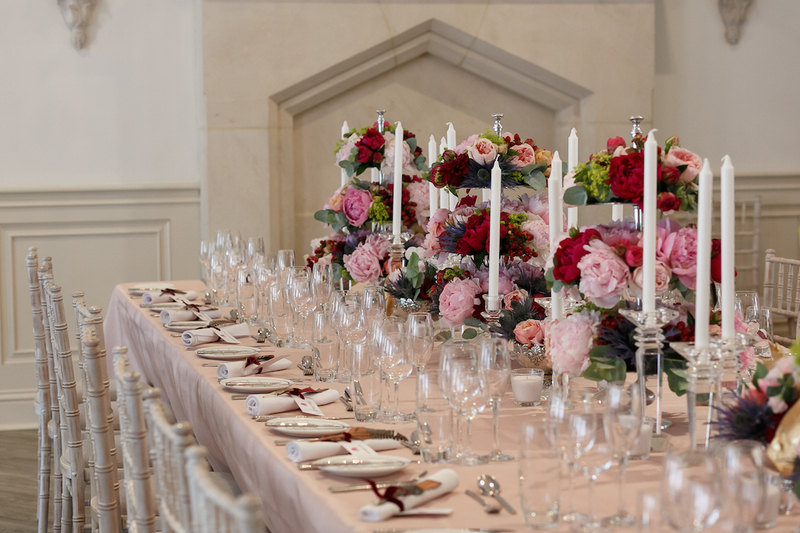 From creative table plans at your wedding venue to homemade cake stations, we’ve put together a selection of the top trends for 2016. Your wedding day is one that should be entirely tailored to you. This is certainly the case when it comes to deciding on food. Planning a three-course meal that caters to guests with a range of preferences and needs can be a challenge. 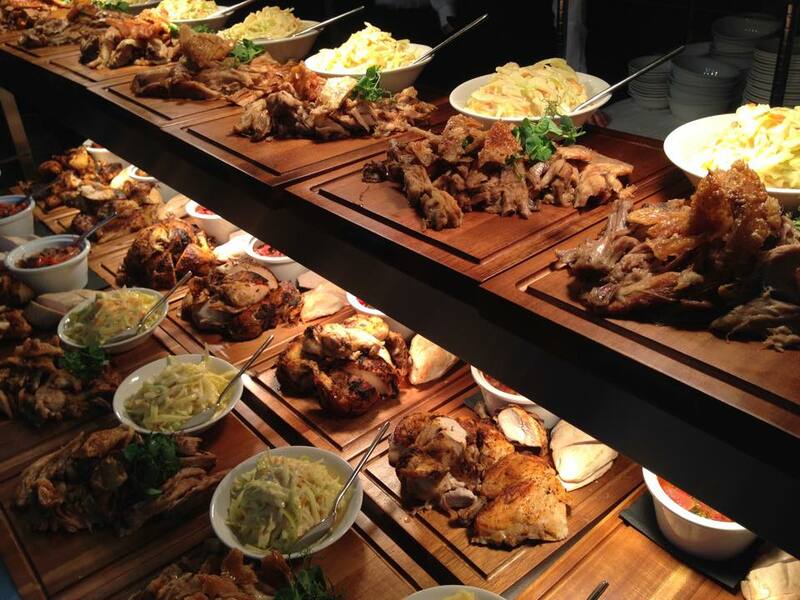 Why not break with tradition and choose a sharing menu with something for everyone to sample? Our Mezze starter selection offers a variety of flavours and ingredients. 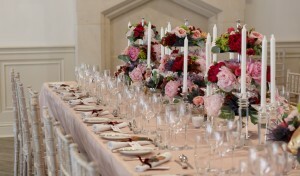 It’s also a great informal way to open up the table and get your guests talking if they are meeting for the first time. 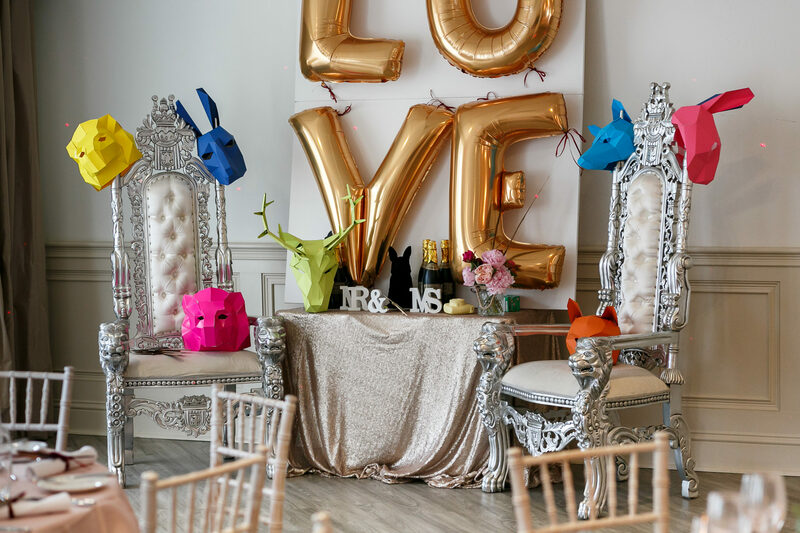 Wedding venues are increasingly opting for more creative layouts; why not transform straight tables into a horseshoe form so your guests can easily chat with each other? We have also found many couples choose to have a table just for the two of them; a haven of intimacy amongst a busy wedding party. 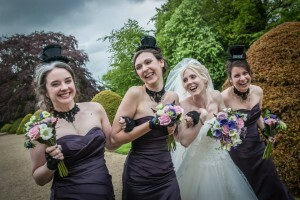 Looking for a wedding photo with a difference? The sky’s your limit with aerial photography, using drones to capture your wedding party from above. 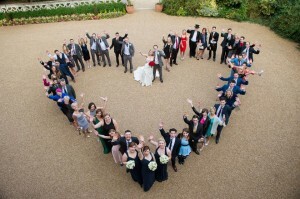 Make it memorable and fun by having your guests form a love heart shape, or even your initials; a contemporary spin on the traditional shot. While champagne and canapés are a wedding classic, 2016 looks to see couples opting for taste combinations that are meaningful to them. 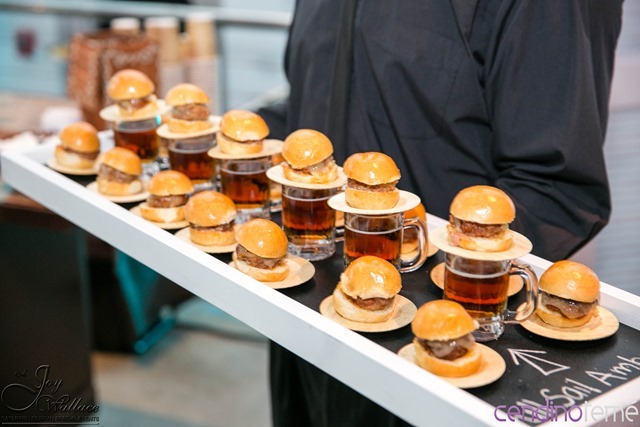 Why not try pairings such as mini beers and sliders or tequila shots and tacos? Chocolate brownies and espresso martinis will satisfy those with a sweet tooth. 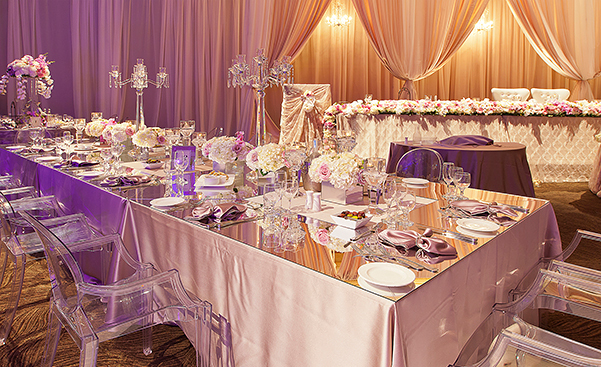 What better excuse to indulge in some glamour and glitter than at your wedding. Take inspiration from the decadence of 1920s cocktail bars and diamond dripping chandeliers; shimmering sequins look immediately modern when paired with high impact metallic table toppers and mirrored charger plates at your wedding venue. 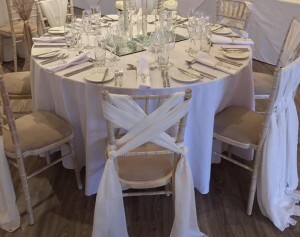 Erase all thoughts of stiff white chair covers from your mind; this year sees them entirely reinvented. Add a sense of romance to your wedding venue décor by weaving exquisite chiffon or silk on the back of a chiavari chair for a soft touch, or play with colour and tie bright ribbons for a striking, bold finish. 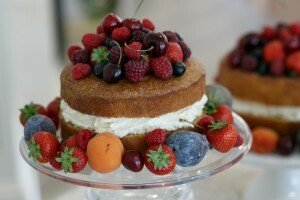 Rustic homemade cakes look set to be a popular choice for couples this year; these understated designs offer a highly desirable artisan finish and can be personalised with your favourite flavours. Be inspired by rich chocolate with sweet strawberries, smooth coffee and walnut, or a moist, spiced carrot cake. You could also incorporate elements from your wedding bouquet into the finished cake, with delicate flowers and fresh seasonal fruit. After many months of planning, it can often feel like your wedding day has flown by in a flash. Wedding videos are the best way to remember it, and couples are being more creative in telling their wedding story. Some choose to film their day in the style of a music video, interspersed with a song that is special to them. For a more light-hearted approach, spoof videos and ‘sing-a-long marry-okes’ are a great way to reminisce with plenty of laughs. 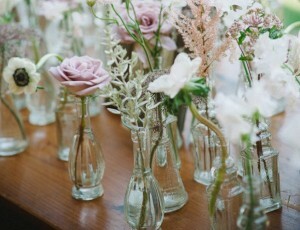 For a rustic themed wedding, take inspiration from interior design trends and play with collective centrepieces. 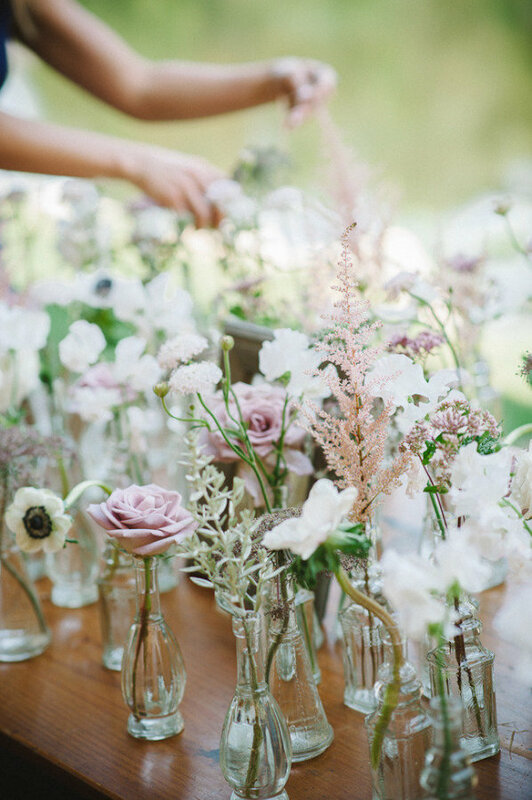 Collect odd vases in shades of your wedding palette and fill with delicate wild flowers for a charming, bohemian aesthetic. Scouring thrift shops and markets for decorative touches can be a great way to source inspiration, and the finished centrepieces will be entirely unique to your day. The trend for photo booths at your wedding venue doesn’t look likely to disappear anytime soon, but this year they have moved on, with the option to ‘live stream’ your images to social media.  Loved ones who are far away will be sure to search for your dedicated #hashtag and feel part of the fun and frivolities.